Heiko Kallbach – the Berlin IFBB Professional demonstrates his personal training style in his first film. A COMPLETE 5-DAY WORKOUT WITH FULL INTENSITY. He also gives general advice on training methods and nutrition. Experience Heiko in a private atmosphere and amongst his fans. Also includes posing routines. A COMPLETE 5-DAY WORKOUT WITH FULL INTENSITY. 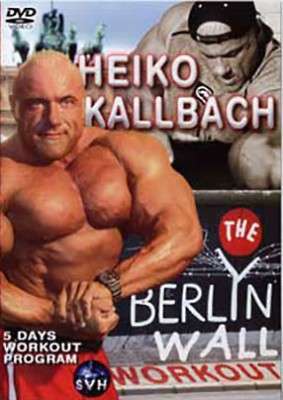 Heiko Kallbach – the Berlin IFBB Professional demonstrates his personal training style in his first DVD of 2.